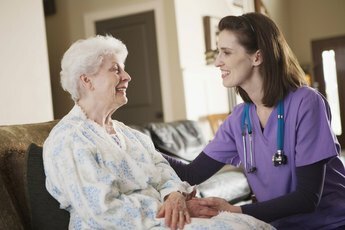 How Much Do RNs Make in Phoenix, Arizona? 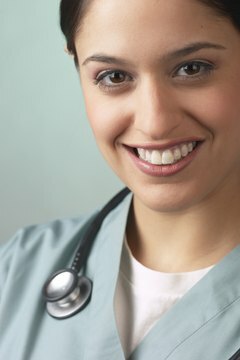 Registered nurses find work in hospitals, physician's offices and outpatient centers. According to the U.S. Bureau of Labor Statistics, 31,320 registered nurses worked in the greater Phoenix metropolitan area as of 2012, encompassing not only Phoenix proper but also the areas of Mesa and Glendale. Registered nurses in Phoenix reported competitive wages compared with both the national average and other areas of Arizona, making this a great career choice. The Arizona State Board of Nursing allows nurses to become licensed as RNs with the completion of an associate's degree, though a bachelor's degree may be required for advancement into supervisory positions. According to the U.S. Bureau of Labor Statistics, registered nurses employed in the greater Phoenix area earned an average of $35.13 per hour and $73,060 per year as of 2012. This compares favorably against the state average salary for registered nurses in Arizona, $71,390 per year, as well as the national average salary of $67,930. BLS estimates for May 2012 reveal that registered nurses working in the greater Phoenix area earned the highest average salary throughout the state of Arizona. Nurses working in the Prescott area earned nearly as much, an average of $72,200 per year. Registered nurses in Yuma reported an average income of $69,940. Those working in the area of Lake Havasu City and Kingman reported a significantly lower average salary of $66,660, while RNs in Tucson reported the lowest average pay, $66,230 per year. If you're wondering whether it makes financial sense to study a bit longer and become an RN instead of a licensed practical nurse, the answer is yes; licensed practical nurses working in Phoenix reported a significantly lower average salary of $52,560 per year. RNs in Phoenix also reported higher average salaries than several other medical professionals with similar levels of education, such as surgical technologists, who averaged $48,290 per year, and radiologic technologists, who averaged $61,490 per year. With additional education, practicing RNs can become advanced practice nurses and substantially increase their income. For example, nurse practitioners working in Phoenix earned an average of $99,460 per year, while nurse anesthetists averaged $151,070 per year. 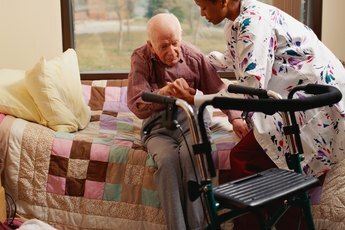 Throughout the United States, many areas are facing critical nursing shortages. This was the case in Arizona for much of the 2000s. However, through tuition programs and other incentives, Arizona has increased the number of nurses relative to its population. However, aspiring nurses in the Phoenix area should understand that there were signs the nursing shortage was easing as early as 2009, and some graduates have since reported trouble finding employment. Can You Become a CNA in a Month?